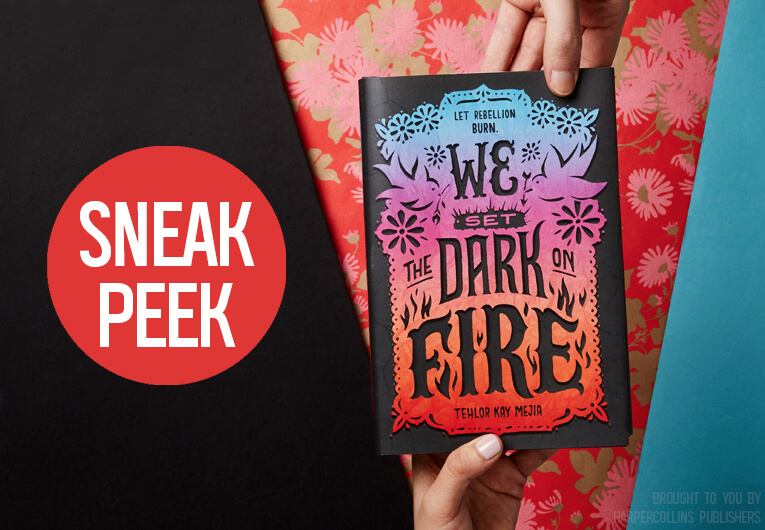 You know we’re always excited when we get to reveal first looks and special excerpts for you all, but can we just say that we’re extra excited to bring you this one?! 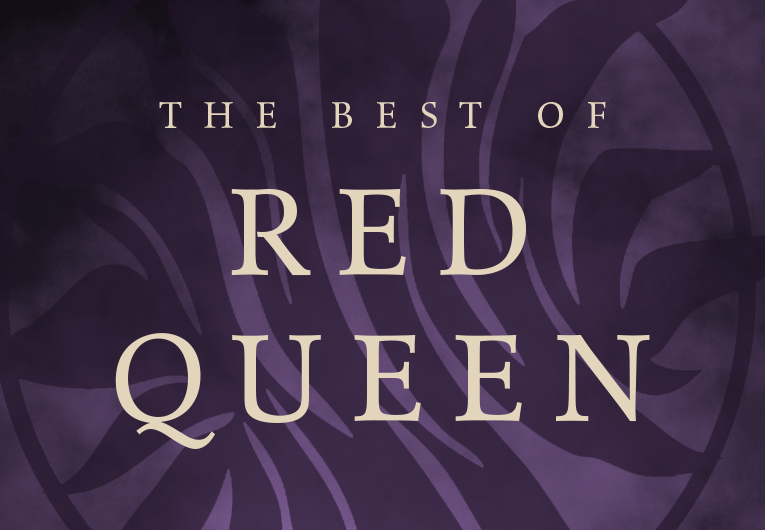 The first book in a debut fantasy duology from Tehlor Kay Mejia, We Set the Dark on Fire hooked us from the start and we have been obsessed ever since. We can’t even joke about judging it by its cover, because we were lucky enough to read it before that. Yeah, that’s how long we’ve been itching to bring this to you! 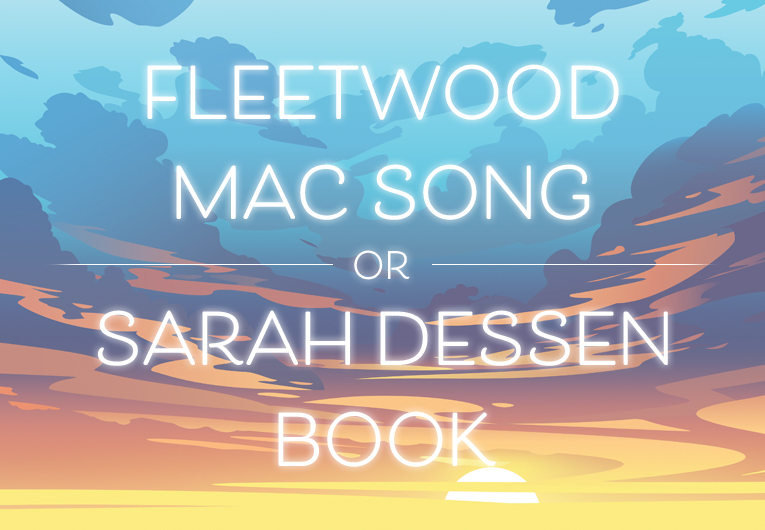 So, we’re certain you’re all about to become as obsessed as we are. You’re welcome in advance. So, what’s it all about? Set in a Latinx-inspired world, we follow Dani, a girl lying about her past in order to secure a better future. She attends the Medio School for Girls, an academy that trains girls for their roles as prominent wives in society—either running the household or raising a family. But, things can’t end there. Because revolution is brewing, and Dani might just find love with another girl bent on tearing down the patriarchy! 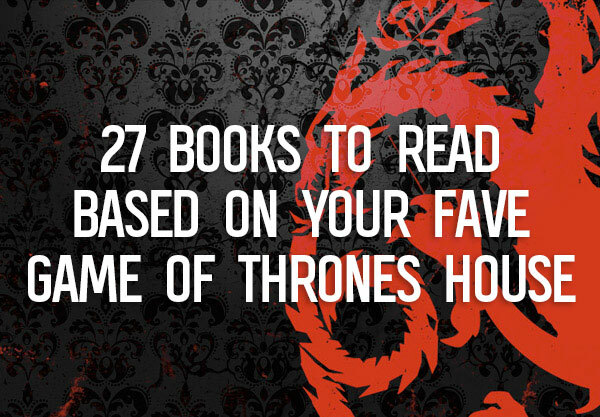 You probably want to start reading now, so we’ll let you do just that. 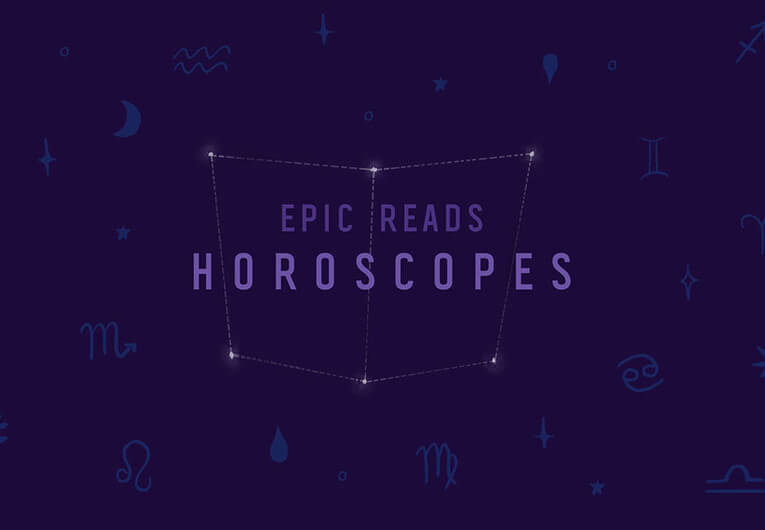 Scroll down to start reading! They had gotten her through thirteen years, these papers. She could only pray to the gods of fate and chance that they would get her through one more night. In the hallway, the police took the lead, expressionless. The courtyard was deserted, but the officers drew their guns as they searched for intruders, shoulders tense. Ami held her hands in front of her face, as if the protesters were malicious, toxic. As if they had something she could catch. Dani knew better. They were just broken. The oratory doors were open, light spilling out into the darkness. Dani’s deities didn’t live in this room. Not anymore. Not the goddesses in the stars, nor the winking gods in the trunks of the trees. Here, the Sun God held court, bare-chested, muscled, and proud. Even his wives were missing from the largest paintings. He was mostly ornamental now, this fierce god-king at the center of so many of Medio’s myths. The powerful used him as proof that they were chosen, but the only things people worshipped on the inner island were money and power. Even still, the oratory looked hopeful inside—hundreds of tiny candle flames, standing against the night. In this corner of the world, if nowhere else, light was winning. Dani was ushered inside by Ami, who left her to sit on a bench unnoticed. As police and maestras tried to create order among hundreds of scared, exhausted girls, she clutched her papers in her hands, refusing to allow her palms to perspire. The Primera students sat mostly still, self-control as much a part of them at this point as their names. The fifth-years would be overseeing households by the end of the week, staffing enormous houses, managing social calendars. Supporting the husbands they’d spent a lifetime training to earn. Across the room, the Segundas were utterly beside themselves. In various states of undress, they held hands and leaned against one another, expressing their fear and exhaustion unreservedly to anyone who would listen. Near the front of the oratory, one was actually sobbing. Dani couldn’t even remember the last time she’d let herself cry alone. She could roll her eyes all she liked at the preening, fluttering Segundas, but things were the way they were supposed to be. The way they had always been. Opposites, coming together to make a perfect whole. And when Dani finally stood up and took her vows, she would be part of it at last, just like her parents had wanted. Two more days, she told herself. There were one hundred and ninety-six girls in this year’s graduating class, and ninety-eight young men from prominent families waiting for them when they completed their studies. Within these walls, they trained perfect wives. Primera and Segunda. The tried and true way to run a fully functioning home at the caliber required by the country’s elite. Inner-islanders had flourished this way for thousands of years, long after faith had stopped driving the equation. No one was about to change the method now. Looking around the ostentatious oratory, artistic renditions of Medio’s origin story depicted across its walls, Dani tried to remember the last time she’d even heard the gods mentioned. They were everywhere at home, but what need did the inner-islanders have for gods? Faith, it so often seemed, was for the lacking. Her musings had almost returned her heart to its normal rate when two maestras began to whisper, sunk low into a pew behind her. Dani listened closely. She’d been trained to be aware, resourceful, to find knowledge where she needed it, and to use it. “Do you think it was one of ours?” asked one nervous voice. “I hope not, but we’ll know soon enough either way,” said the second. The conversation continued, but the blood pounding in Dani’s ears drowned out whatever came next. The battered envelope crinkled beneath her grasping fingers. At her hairline, sweat began to bead. If they really had a new verification system . . .
Dani stood as surreptitiously as she could, inching toward the wall. With those few whispered words, everything had changed. If she could just lean against this wall a moment, maybe she could make her way toward the door without anyone seeing. But what then? asked a practical voice in her head. Down the hill into the capital? Blend in until she could make it back to her parents? But going back would only make them targets as well. The Medio School for Girls could hardly fail to notice the disappearance of their star student two days before graduation. And even if they did, they’d certainly miss the small fortune the Garcia family was planning to pay for her. The school would keep most of the money, of course, but the wealthiest families paid the most generous sums, and Dani’s portion was meant for her parents. To buy them a small piece of the life they had earned for her when they fled the only home they’d ever known. When they left behind family and friends and every ounce of certainty. They’d lived in fear of discovery for years so Dani could have a chance to shine, but daughters in prison weren’t worth a cent, and dead ones were even worse. For a moment, framed by the doorway of the oratory, Dani hated the protesters. Why tonight? When she was so close to getting everything she’d worked for, to giving her parents their due . . .
“Daniela Vargas?” came a gruff voice. Her heart sank. She was out of time, and no closer to deciding what to do. When she didn’t come forward immediately, several of her classmates’ heads swiveled in her direction. When had Daniela Vargas ever failed to respond to an order? She took a single step toward the officer, who was twice her width and half again as tall. The room was too bright, every sound too loud. The windowless cell that had haunted her childhood nightmares swam to life behind her eyelids whenever she blinked. Once her papers were proven false, they would assume she had let the protesters in. They would think she was here to spy, to help the rebels, when all she wanted was to keep her head down. Be a good Primera. Make her parents proud. If she could have, she would have whispered to the goddess of duty, to ask her to show the way, but there was no time, and too many eyes were on her now. Tears began to threaten. She could not let them fall. She moved ever so slightly forward. There was noise in the room, of course there was—other names were being called, other girls interviewed. Segundas were complaining about the late hour, and the dark circles they’d have beneath their eyes come morning. But Dani felt as though she was the only one moving, the only one anyone could see. Her heartbeat was audible to everyone, wasn’t it? Wasn’t it? The officer stepped forward, taking her elbow, steering her toward the classrooms in the back. But he stopped when her knees locked. She couldn’t move. She couldn’t breathe. Dani turned toward him, feeling like a fish washed up on the beach. He was in uniform, like the others, but he was slighter, younger, his eyes bright and curious. “Who are you?” growled Dani’s would-be captor. “Medic,” said the younger man, gesturing to the band around his left sleeve. White with a red cross. Dani’s breath came easier for a moment, though she couldn’t have said why. Under normal circumstances, Dani would have smiled. A staring contest ensued, and Dani swayed again for effect. If they took her to recover from shock, maybe she would get a second chance to run. “I don’t feel so well,” she said in the smallest voice she could fake. Primeras used whatever resources they had at hand. One hand flew to her stomach, the other to her mouth. “Yes, sir,” said the boy, managing a clumsy salute as he shouldered Dani’s weight. He smelled like cinnamon and warm earth. A familiar smell. A comforting one. “Right this way,” he said with a smile, and Dani followed, a tiny flame of hope alive in her chest. Maybe it wasn’t too late. “Let’s find somewhere you can relax,” the medic said, mostly to himself, trying several doorknobs before settling on one. “This is a—” Dani began, but he silenced her with a look, ushering her into a supply closet full of empty candle glasses and brooms. Goose bumps rippled up and down Dani’s spine. “Nice performance back there,” said the boy, closing the door behind him. “Even I almost believed you.” His face transformed in the dark of the closet. From stoic and soldierly, he was suddenly foxlike, all sharp angles and mischief. “I don’t know what you—” Dani began. And with that, he took Dani’s papers, the hard-won key to her whole life, and tore them cleanly in half. The medic-who-was-not-a-medic stood still, gauging Dani’s reaction. On the outside, she was frozen, but inside her, whole cities were being razed to the ground. Explosions were shaking the walls of her stomach. People were screaming in her throat. “Let me explain,” he said, looking almost sheepish. Dani felt her expression hardening. She let it. She did not scream. “Who are you?” Dani growled again, interrupting. She hardly cared about the particulars of paper fiber when she was one misstep from handcuffs and a prison transport. “Right, of course.” The boy placed the torn papers inside his jacket, sticking out a hand. Dani looked at it like it was a venomous snake until he withdrew it. “You can call me Sota,” he said. “I’m a member of La Voz, and I’m here to deliver these.” From the same pocket where he’d stuffed Dani’s forged documents came a set of new ones, the paper gleaming blue-white even in the dark closet. She caught a glimpse of her name, printed neatly below Medio’s official seal. La Voz was a name you whispered. Public enemy number one on the right side of the border wall. They were responsible for the riots Dani had heard about since she could remember. The fires. The dead officers. The violence. Being caught talking to a known member was good for a prison sentence, even if all you did was ask for the time. Most people knew to fear the name and everyone who claimed it, but even the rest knew not to accept favors from them. Dani glared at him, but she said nothing. Trained by her Primera instructors to analyze and see logic in even the most impossible situations, Dani called on every faculty she had been born with, as well as the ones she’d learned on this campus. There had to be another way out. One that didn’t involve dying of exposure in the jungle while fleeing the police or accepting a favor from the least trustworthy group of cutthroats in Medio. “What’s in it for you?” she asked. Dani felt the beginnings of a flush creeping up her chest, and she was glad for the high neck of her Primera dress. It wasn’t her fault people were starving and dying. She didn’t have to feel guilty just because she’d gotten out. She was about to say as much when Sota continued. There was fire in his eyes when he spoke, a song in his throat, nearly turning his words hypnotic. There was a small part of Dani that wanted to buy into his logic. But Primeras thought with their heads, not their hearts. This was what these “revolutionaries” did. They made everything emotional. They leaned on pretty words until violence sounded like freedom. Until the extreme seemed justified. Dani opened her mouth to protest, but he didn’t give her a chance. The door opened, and the sounds of Dani’s world came pouring back in as he disappeared into the crowd. No one seemed to notice her walking out of the supply closet, and Dani drew the persona that had gotten her through five years in this place around her like a shawl. She was calm, collected, in control. Her restraint was her strength. Students weren’t permitted to leave until everyone had been questioned, and Dani sat alone at the end of a pew toward the back until they were dismissed, just as the moon had begun its slow descent in the sky. Back in her room, she should have fallen into bed and slept like the dead, but instead she sat awake, gazing at her new papers in the dim light from a candle. They were beautiful. A job like this would run someone thousands of notas in the back-alley places frequented by desperate outer islanders with everything to lose. And that’s if they could find someone good enough to make them without a waiting list a year long. Dani’s parents had saved every penny until she was four years old to get identification for the three of them. The riots had been getting worse, modern-day politics reinforcing Medio’s mythology until they formed an impenetrable hatred between the island’s two sides. She barely remembered the crossing. Her mama wrapping her in a long, woven cloth on her back even though she was much too old to be carried. Her father hushing them when the beams of the guards’ lights passed too close. And then the climb. The darkness. The way her mama’s feet slipped against the stone and her breath whistled through her teeth. They had left everything behind. A family, a history, and a home Dani barely remembered. She’d seen the ghosts of that life in her parents’ faces sometimes, passing like shadows, and felt guilty because they’d given it all up for her. Dani sniffed as she traced the clean lines of her name on the paper. The town they’d settled in when she was a child had been filled in as her birthplace. Polvo. She’d loved that little town. It was the first home she really remembered. She’d loved the kids, and the noise, and her run-down schoolhouse. Loved the trips with her mama into the small city nearby, where street vendors sold roasted corn on sticks and frozen fruit with chili powder in paper cups. But when her parents had come up with the idea to enter her into Primera selection the year she turned twelve, what could Dani really say? They wanted the best for her, they’d said. Wanted her to rise so high that the place she was born could never be a danger to her again. In the face of all that, what did it matter that Dani had loved Polvo? Loved her best friend, Marisol, and the boys across the street who always had a scraggly puppy or two in tow. Loved the idea of growing up to make the little place they called home better, instead of fleeing forever and leaving it to gather dust. In Polvo, no one had been confused about who their loyalty was to. Parents worked long hours in desperate conditions; they made sure you had enough to eat even when it meant going without; they scraped and scrounged every day to give you something more than they were allowed, and duty was all they asked for in return. And what were Dani’s little loves compared to that? A belly mostly full of food when others went hungry or worse. Shelter, and both of her parents alive, and the chance to be considered for the highest honor a young woman in Medio could dream of. What could she possibly give them besides her best? It didn’t matter that Dani had dreamed of a little house and a couple of chickens and the chance to learn her mama’s recipes. Of taking care of her parents as they got older. It didn’t matter that she’d wanted Polvo, and the life she had been born for. Because in Medio, safety required power, and to get power you had to move closer to the sun. She had done well, she thought, looking around the lavishly appointed room, its white stone, the hand-painted tiles lining the walls. Her closet full of modest dresses, each worth more than her father made in a week back home. The Medio School for Girls had provided it all, confident that Dani would more than make up for it when her new family paid her marriage fee. Maybe the girls she went to school with didn’t know what it meant to feel that fierce loyalty to their families. That duty. But she did, and to turn her back on it would mean to let go of the last little piece of Polvo she’d been allowed to keep. So tonight, Dani let herself take comfort in her new papers, despite the source. To take comfort in knowing she was that much closer to what her parents wanted for her. Maybe Sota had been telling the truth. Maybe La Voz had helped her because they thought she was one of them. Maybe it had been an intervention by the goddess of luck at her lowest moment. Whatever it had been, Dani didn’t intend to waste this chance. On graduation morning, the sun rose early just to shine in the windows of Medio’s most celebrated young women on their special day. Dani was up earlier, sitting at her desk, reading a letter whose creases had smoothed out with time and handling. The date was five years earlier—the handwriting, her mama’s. Dear Daniela, it began. I write you this letter with all the hope a mother can feel, on the first day of the life you deserve. It will seem strange, after the way we’ve lived, but I know you, m’ija. You have a big heart, a strong mind, and you will find a way to make a life you love. No matter how different it is from the one you left. Her mama couldn’t say everything, of course. Not in writing. To the students at the Medio School for Girls, Dani was just a girl from somewhere below the capital. Even the ones who knew she was lower class could never know that Dani’s hometown—shameful enough for its proximity to the border wall—wasn’t in fact the place she had been born. Her dress for the ceremony was pressed and laid out on the bed, her door open to the sounds of girls preparing for the arrival of their families. Normally, Dani ignored them; she wasn’t here to make friends. Still, on this, the last day of her school career, she watched them a little more closely. She was envious, she realized. Of the excitement. Of the glow in their cheeks. Dani felt satisfaction, yes. The solid, warm feeling of a duty accomplished well. But there was no joy in this day for her. No family arrivals. No celebrations. In one of her infrequent letters home, Dani had sent two graduation tickets to her own parents, but it had been a formality. Something for her mother to pass around at the well. Dani had, of course, been vetted by the Garcia family. They knew what her papers told them—that she had been born in Polvo, and had risen far above what they’d expected of her here. Not everyone at this level was upper-class legacy, but it certainly didn’t get you anywhere to flaunt your unseemly poverty. Especially in front of the people who’d just paid a small fortune to marry you to their son. Overcoming obstacles was good. Showing off the salt-curse in your blood was not. When the return letter had come from her parents, it said as much, wishing her luck, telling her how proud they were. Dani hadn’t seen them in person since she’d boarded the bus to the capital at twelve. They didn’t speak of it, but she’d likely see them only once or twice more in her life. The island was a mountain, and the higher you climbed, the better off you were. For a politico’s Primera, a trip to sea level, to the place where the wall separated Medio proper from the lawless outer island, was nothing short of inappropriate. As tensions rose at the border and the frequency of the riots increased, a whisper of “rebel” or “sympathizer”—however untrue—clung like the smell of smoke. To spend too much time below the capital was to risk your loyalties being called into question. The tensions had moved far past mythology. Far past brother-gods and curses as old as the island itself. It was political now. Rights and riots and the prosperous versus the destitute. On one side, there was the might of a nation. On the other, desperation. Every clash was a violent one, every victory bloody and hollow with loss. But still, her heart squeezed uncomfortably in her chest at the idea of her mama. She would look older now, Dani realized, and for a moment she was right back in Polvo, tiny brown fingers digging for candy in an apron pocket, bare feet in the dirt. For a moment, a kind word or a kiss was all it took to make everything better. The promise of family and the guiding hand of the past had been such innate parts of life in Polvo that sometimes Dani felt like all the Primera training in the world wasn’t enough to fully banish them from her bones. This is inappropriate, said the nagging voice of a maestra in the back of Dani’s mind. Primeras don’t cling to nostalgia; they’re above such weakness. A true Primera keeps her eyes on the future. When the hall emptied, Dani followed the crowd. She might not have had parents to show around, but she had a few goodbyes to say before tomorrow’s departure. Her father had warned her not to get too close with any of the girls, reminding her that closeness led to trust, and trust could be broken. But the best climbing tree on campus couldn’t tell her secrets, and neither could the view from the top-floor library balcony. The light-as-air tortillas in the cafeteria wouldn’t dream of betraying her. And that tile mosaic in the south courtyard, the one everyone passed by without looking? It always kept its mouth shut. Dani visited them all, the places where she’d found sanctuary from her early homesickness, the places she’d neglected as she rose in the ranks and started wearing her Primera dresses like more than a costume. This school had been her home, much more than the distant place she’d come from. She didn’t know if she’d miss it, but it had earned a goodbye, at least. Feeling peaceful and full after eating her last school meal—pork swimming in garlicky tomatillo sauce, perfectly spiced red rice that stained your fingers oily red, and a small tower of those incredible tortillas—Dani wove her way through the visiting families and back to the dormitory. It was time to prepare for the most important night of her life. But before she could make it across the east courtyard, a whispering knot of Segundas sashayed into her path. Dani prayed silently to the god of hurry that she’d escape their notice. Unfortunately, he wasn’t on her side today. The cold, ringing voice could only belong to one person, and Dani steeled herself before stopping to face her. Carmen Santos towered over the girls simpering beside her, dressed in swirling turquoise silk that set off her golden- brown skin. Her curls were so black they glinted in the late afternoon sun like the dark metal of a loaded pistol. By comparison, Dani felt weak as a reed in the wind, her black dress hanging from narrow hips and negligible curves. Her child’s cheeks. The close-cropped waves of her unruly hair. The skin that cooled olive where Carmen’s glowed like the setting sun. The anger was rattling harder now, and Dani stopped, standing perfectly still as she weighed her options and the other girls smirked and giggled among themselves. Maybe it was the finality of it all that made her pause. She’d been tolerating Carmen’s unsubtle digs since they’d met on the shuttle from the capital, five long years ago. It was the first and only time Dani—alone and scared, miles from home—had confided in anyone about her modest upbringing. Twelve-year-old Carmen had been no less beautiful, but her wide eyes had been friendly then, and Dani had trusted her against her father’s advice. How could a girl with a pretty face and an easy smile ever betray her? She found out all too quickly, when Carmen settled in with the girls of her own station, and the fragile friendship they’d built up over the miles became collateral damage. Carmen laughed, and Dani carried the mocking sound all the way back to her room, where she used slow, controlled movements to open and close her drawers, putting on her Primera-issued graduation dress with an exaggerated precision that masked her frustration. There was something about Carmen that got under Dani’s skin. Partially, it was anger at her twelve-year-old self for acting on instinct rather than logic, but that wasn’t all of it. It was the way people treated Carmen, too. Doted on her. Acted like she was so special because she was rich and beautiful and everything came easily. It had been a hard adjustment, coming here from a house with a dirt floor, but Dani had made it. She’d grown used to the way the other girls acted, like they expected the world on a silver platter and they weren’t planning on being disappointed. But in Carmen, that entitlement was magnified somehow. She was the face of everything Dani would never have, would never be, and she hated her for it. For the way her world was unfolding like a flower, while Dani was just trying to make way. Dani did her best to shove thoughts of Carmen into the little box where she kept off-limits things. Fears. Irritations. Longings. Regrets. It was one of the earliest lessons of a Primera’s training—learning to wall off the feelings that could interfere with your restraint. By the time Dani walked out of the dormitory doors, she was smooth and gleaming like lacquered wood. It was time to be the flawless girl this institution had invested so much in. Time to earn the notas that would keep her parents fed and clothed for years, patch their roof, and buy her father new work boots with solid soles. It was time, she thought sadly, to put that other future to rest. The one she’d seen bloom in a look between her parents. The one she might have had if she’d stayed at home, where joining yourself to someone was more than just a business arrangement. The upper class had always looked down on the lower for the way they married. Pitied them for the lack of the sun’s blessing until the pity twisted into prejudice. One partner, for better or worse—they thought it uncivilized. A relic of a cursed past. But for most of her life, it had been all Dani knew. Primera training had reduced the memory down to a quiet whisper in her bones, but tonight it would be silenced for good. On the way to the oratory, she opened the box for just a moment and let her memories of Polvo flood in. The looming wall that hid the place she had truly been born. The salt-hard ground where nothing much would grow. The laughter of children and the dancing feet of adults not too tired from another day of survival to feel joy. The fires in barrels and the sweet wine she’d sneak sips of with her friends under a million stars. Her home. Polvo was lost to her. And it was time to grow up. The oratory blazed once more against the night. Little as she loved the idea of pledging herself to a stranger tonight, Dani thought, at least she could feel good about her reasons for doing so. It would never be happiness, but maybe, like her mama said, it could be enough. “Primera students to the left, please! Segundas to the right!” Residents prowled the aisles, hushing, herding, restoring order. Dani found her place on her own, settling in, offering half-hearted nods to the girls surrounding her. The peers she’d never allowed herself to know or befriend. How could she have? When the only time she’d tried . . . Well, the scene with Carmen today had been proof enough of that outcome. Across the aisle, the Segundas were a riot of color and sound, swapping lip stains and fluffing one another’s hair, tightening the ends of braids, trading woven bracelets for friendship and luck. The difference across the aisle was stark. But that was how it was supposed to be. Emotion clouded your judgment, and logic hampered your ability to feel. The Sun God had been wise, and thousands of years of prosperous Medians were proof of his blessing’s worth. Even Dani, with her false papers and dusty memories, the little gods that turned on her in key moments to stick out their tongues, couldn’t argue with results. She closed her eyes against the bustle of energy and noise, and under her breath she recited the pledge she’d be offering to Mateo Garcia. It was tradition, the first impression a husband got of his new Primera, and she wanted it to be flawless. Around her, a hundred other Primeras prepared in their own ways. A hundred weddings would be taking place here tonight. A hundred hopeful pledges by Constancia’s chosen ones, hiding the trembling of their hands. A hundred promises by daughters of the Moon Goddess, who had never looked more beautiful than they would tonight under the candlelight. A hundred family cloths, woven by mothers, wrapped around the shoulders of the three as they vowed to accept their blessing. To be partners. To be one. It should have felt like flying, and for some of the girls it probably did. But the part of home Dani thought she’d exhaled outside the oratory was back with a vengeance. She didn’t want to be here, she realized with a dull sense of horror. She wanted to go home. You will find a way to make a life you love, said her mama’s voice in her heart. No matter how different it is from the one you left. As they had been meant to do all those years ago when Dani boarded the bus to the capital, her mama’s words kept her in place now, her face impassive as her heart threatened to break into pieces. Her voice had always had a subduing effect on a crowd. Even the Segundas’ feathers settled as all eyes turned toward the front. Dani kept her mama’s words close, repeating them like a mantra when her restlessness threatened to get the best of her. You will find a way to make a life you love. As applause filled the room, a buzzing numbness began at the base of Dani’s spine and spread. Despite her calming mantra, the room took on an odd, shimmering quality. Was this her body, sitting straight-backed and sure in this pew? More applause. The latch on the forbidden corner of Dani’s mind rattled dangerously. Everything inside it screamed to be let free. Nights with her parents, their simple but hearty food between them, laughter painting the night. Days with her friends, people who had known her since childhood, people who protected her secret and even shared it. People she could trust. And someday, maybe, a love that arose on its own. A marriage that wasn’t forced. Blessing or not, was she wrong to want that? Her Primera training rebelled against the thoughts, but Dani found for the first time that it wasn’t enough to stop them. “We have a lot of commitments to make here tonight,” said the headmatron, drawing Dani back to the present. “So let’s get right to it.” She gestured beyond the rear door to a classroom space, where a hundred young husbands waited for the wives their fathers had bought them. “Without further ado . . .” Her voice brimmed with satisfaction as she removed the list from a compartment below the podium. Dani could almost see the gold coins spilling over in her mind’s eye. Some girls were worth more than others, some families willing to pay more for the best. But the real winner here was the Medio School for Girls, who sent a dowry to each girl’s family and took a cut for themselves. All this white stone and intricate tile-work didn’t come cheap, after all. The door behind the headmatron opened, and a boy strode forward with an abundance of confidence. The atmosphere among the graduates became electric just as Dani’s nerves threatened to corrode her iron restraint. This was it. Juan stood to the left of the podium, scanning the crowd eagerly. Traditionally the placements were kept a secret, to bring some drama into the night’s events, but Dani knew there were few girls in these rows—on the Primera side, at least—without a very good idea where they would end up. They weren’t the most resourceful, intelligent young women in the country for nothing. Dani clapped, relieved to feel sensation returning to her limbs. Maria stood, beaming and waving to her parents behind her before walking up the aisle toward her new husband, who had turned suddenly shy. Predictably, several tearful Segundas clutched at the hem of Sofia’s dress as she passed, shouting congratulations at her in high-pitched voices that made Dani’s head ache. One of them was probably Carmen. Not that Dani was thinking about her. Maria and her new husband had been staring at each other, slightly awestruck, but when Sofia took the stage beside them, the dynamic changed. They seemed to settle into their roles in a way that transformed them into adults before the audience’s eyes. The room was silent as Maria promised to be Juan Alvarez’s support. His perspective. His friend, and his partner in all things. His smile was stiff but seemed genuine, and he nodded solemnly when she’d finished, sealing the pledge with a handshake, as custom dictated. Sofia went next, her voice low and confident as she promised to be the song his life had been missing, and to care for him until the end of their days. “And now, the cloth,” Headmatron Huerta said as Juan turned to Sofia, unfolding a cloth in the Alvarez family colors of brown, red, and gold. He wrapped it around his own shoulders before extending it, bringing Primera and Segunda under its symbolic cover. For a moment they stood nearly forehead to forehead to forehead before they stepped apart. When Dani thought Juan could look no more boyish and afraid, he spoke clearly of his commitment to provide for them, to protect them, to be steadfast and loyal until his dying day. Next, the headmatron produced their marriage agreement, which they signed in turns before taking a bow and disappearing through a third door, leading out to the courtyard. Tonight, the husbands would return home alone. Tomorrow morning, their new wives would join them. After the novelty of the first commitment, Dani let the names and slightly varied pledges slide through her mind without making much of an impression. Inside, she was still a nation at war with itself. On one side, the life she’d dreamed of and the uncertainty of the life before her. On the other, her family’s hope and everything they’d left behind. A lesser Primera would have shown it, would have trembled or gasped for breath or stood without meaning to. But Dani was not a lesser Primera. Her mask was all she had left. Wearing it well, she waited for the name that would end the war, and after an hour or more, she heard it at last. Falling as destined by the alphabet—which was such an arbitrary way to choose to change someone’s life completely, wasn’t it? Dani’s spine went straight as a sapling, and the tingling feeling returned as the room erupted in whispers. The Garcias were far and away the wealthiest, most decorated family present tonight. Every girl in Dani’s class had coveted this placement. But only two girls in this room would walk away with the boy now stepping up to the podium, looking more like a man than any who had come before him. He was handsome. Wide-shouldered and narrow-waisted, he stepped up looking self-assured, not bored or nervous. Like he was comfortable in front of a crowd. The headmatron waited for the hissing to die down, and Dani thought of the elder Señor Garcia, Mateo’s father. He was the chief military strategist to the president, and there were not-so-secret rumors that he was grooming his son for the presidency. Mateo was everything her parents had wanted for her. Wealthy. Respected. With him, she would be above reproach. Polvo’s salt-song lamented in her blood; a counterweight, a mourning cry. Dani breathed in, making sure not to stand before it was official. Her legs held steady. Her papa’s stories and the teasing laughter of her childhood friends and the vague memory of a night spent held against her mama’s body, following a flashlight beam into a new world. Was this where it had all been taking her? Outside, the school’s top Primera took her place demurely beside the year’s most promising bachelor. Inside, Dani was a storm without an eye. She looked up at him, trying to get a read on the boy aside from his pedigree. She, of all people, knew that where you were from and where you were going weren’t always enough to tell a person’s whole story. But he didn’t look back. A chilly sort of boredom emanated from the only Garcia son, like he got married every day. Like it was nothing. Dani felt her dread intensify. She needed a sign. A whisper from the gods in the candle flames or the starlit diosas outside to tell her she didn’t need to run. That this was the right thing to do. They stood together, Mateo staring unseeing at the contract before them, Dani with melting iron in her spine, looking for something to hold on to. “. . . And Segunda,” the headmatron said, consulting the paper in front of her. Dani didn’t let herself close her eyes. Enter the author’s pre-order campaign here!